Last Friday I was invited for very tasty snert at Eelke and Roy’s. 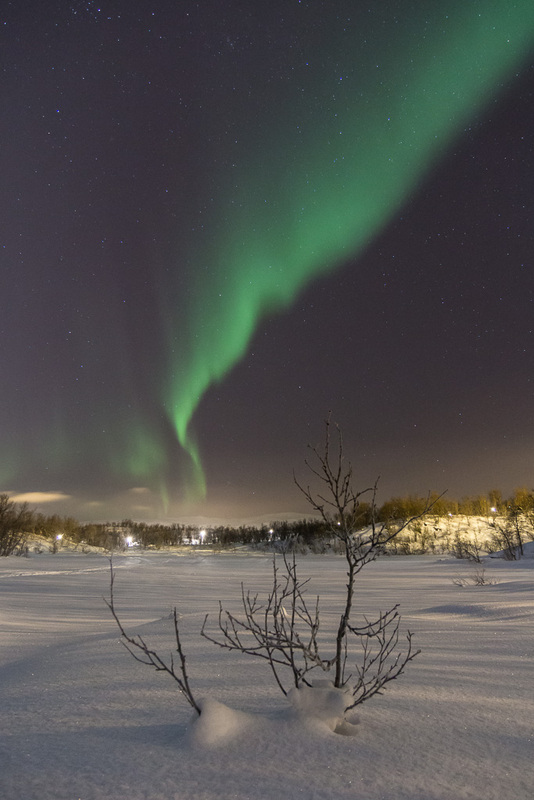 It was a clear night, and the aurora forecast was looking good, so I brought my camera and tripod along – just in case 😉 And yes, after dinner the auroras were dancing and we decided to go for a walk near their house. The first photo was taken from a nearby (frozen) lake, the snow was so deep there that we didn’t venture very far! 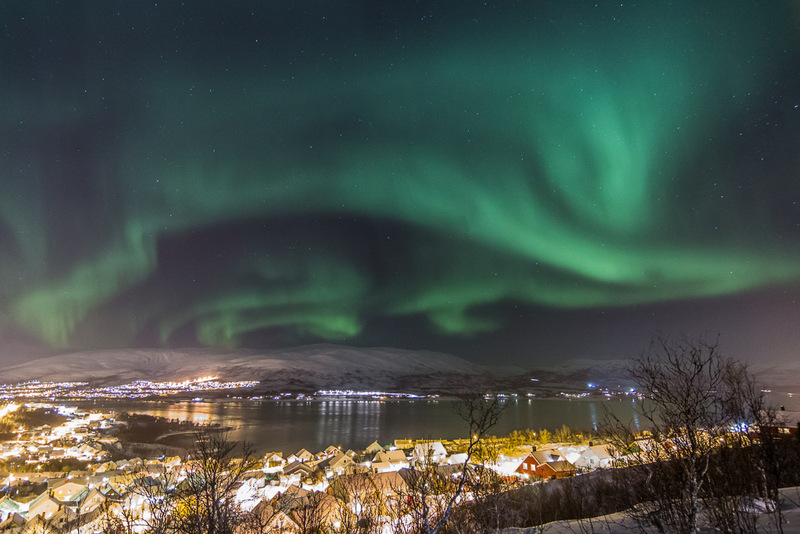 The second photo is taken from a nice lookout over Hamna, a neighbourhood in Tromsø. that is so cool. great picture! i’m going to tromso in the beginning of this april. i really hope that i will get a chance to see that beautiful thing..